Every job has tasks that are enjoyable and some that . . . well, just aren't. One thing I love about writing novels is that it's done in stages. Each stage is very different, but all of them are necessary and enjoyable to some extent. Since people often ask what being a writer is like, well, here's what it's like for me. Stage 1. Writing the first draft. This takes me about 5 months and is a mostly pleasant routine of meeting my daily page goal, using my outline, but also feeling my way through the story in an intuitive way, and making any necessary changes along the way. Colleen reads my chapters as I write them and offers immediate feedback, which helps me see if I'm headed in the wrong direction. At some point during this 1st draft, my previous book hits the shelves, and I begin doing radio interviews set up by Thomas Nelson's publicist, a book signing or two, and book club phone-ins. Stage 2 is my favorite. I read through the story 4 or 5 times over the course of a month. The first time through I look for plot holes, ferret out character inconsistencies, add symbols, and refine the theme. The other read-throughs I'm cutting excess words, playing with sentences, reordering paragraphs, finding more precise words. This is the fun part. My heart is beating faster just thinking about it. Stage three ends with me sending my manuscript to my editor, a loud WOOHOO, heard across the state of Indiana, and, hopefully, a celebratory massage. Stage 3. While I wait, with fingers crossed, for my editor's feedback on the manuscript, I start on my next story idea (which is not easy with my fingers crossed.) This takes me at least a month, as I like a detailed outline, and the story has to feel just right before I start writing it. During this stage, I spend many hours thinking, plotting, daydreaming. It may look like I'm staring out a window but, honest, I'm working. The story can change drastically overnight as new ideas crop up. I slowly peck out a 7-9 page synopsis. Stage 4 starts when I receive my "Revision Letter" from my editor and ends with me slumped on the floor weeping and wailing and wondering why I thought I could write another novel. Just kidding. The floor's hard, so I cry from the comfort of my chair. Next, I eat as much dark chocolate as I have in the cupboard, tell myself repeatedly that the letter wasn't as bad as I think, then re-read it. Okay, a gallon, but who's counting? Then I dig into the re-writes, taking a month to incorporate my editor's ideas and rework the story until, hey, what do you know, it's better than it was before. Stage 5. Line edits. No sooner do I send the revised manuscript back to my editor then the thing boomerangs back. This time the document is filled with little nit-picky corrections that keep me from looking like a complete idiot to the general public. Oh, it's flower petal, not flower pedal. Duh. And about 500 more silly mistakes I need to approve or disapprove. And then we're back to Stage 1 with then new story idea I developed. At some point during the first draft of my new story, I'll receive the "First Pages"--My previous story typeset and looking all fresh and pretty. It's my last chance to fix any errors before going into print. Sadly, I now have the story memorized and it's about as exciting as reading the white pages. And there you have it: the entire novel process from the author's standpoint. So it's your turn now. What's your job, and what are the parts you enjoy and the, well, other parts. I recently stepped out of my comfort zone for the sake of my writing career and felt exposed in front of strangers. I attended the Florida Christian Writer’s Conference, flying hundreds of miles away from my familiar writing chair and my family who think my writing is wonderful, and took part in Eva Marie Everson’s mentoring clinic. I wanted her professional opinion about the good and bad of my writing. I didn’t realize I was going to get eight other opinions, too. Eva’s clinic was modeled after her book, Word Weavers, The Story of a Successful Writers’ Critique Group, (co-authored with Janice Elsheimer). After I introduced myself, I passed copies of my work to eight other writers—strangers, people who weren’t going to say, “I like it,” because they were my friends. They were going to give me their honest opinion. Wasn’t that what I wanted? Could I face their criticism? Could I keep my mouth shut while they critiqued? I could and I did, because that’s why I left my comfort zone—to learn if my audience cared, if they understood the plot, and if I used appropriate metaphors. I not only received important feedback, I learned the benefit and the skills necessary to form my own local critique group—the best way to improve my craft. • Assign a leader who reviews basic rules before the session. • Person to be critiqued distributes 8 – 10 copies of his/her manuscript, 1500 words, double-spaced, and line-numbered. • Writer explains the purpose of the piece, intended audience, and he critique expectations. Then, listens. • The person to the left of the writer reads the writer’s entire piece aloud. • While the piece is read aloud, other members jot positive and negative comments on their copies. • Reviewers are given a two minute break to mentally form a critique. The person to the right of the writer begins, which allows the reader to comment last. • Critiquers use the “sandwich technique” for remarks. They begin and end with specific positive comment. In between, they add what was lacking (pov, showing vs. telling, first impressions of protagonist, etc.) and more positives—keeping in mind the writer’s needs for the critique. • Writer gets to take home all comment copies. • Critiquers give suggestions for where the writer might submit her piece. There are many other valuable topics in the book. They include: the leader’s role, preparing for meetings, questions to ask when critiquing, sample positive feedback comments, tips on membership, defining your group, group logo, publications, sister groups, legal issues, and more. I strongly recommend this book for writers considering forming a critique group, or improving a current one. Leaving the comforts of home to travel to a conference, or a critique group, to share my work is intimidating, but for the sake of improving my writing career, I know that it’s worth the exposure. I’m interested in forming a Word Weavers group near Warsaw. If you’re interested in joining, please let me know. I should have written this post two months ago. Not because you may have already filed your taxes for 2009, but because how much you can deduct depends on what you do during the tax year. But even though this advice would have beeen timelier in January, it's still not too late for your 2010 taxes. To deduct writing expenses that exceed your writing income, you must convince the IRS that you are writing to make a profit rather than as a hobby. There are two ways to do this. If you make a profit three out of five consecutive years, the IRS will presume you are writing to make a profit and will allow you to deduct the excess expenses in the losing years. If your crystal ball says you will have that kind of success, go for it. Most of us can't predict whether we will meet the presumption, though. So there's a second way to show the IRS that we are writing to make a profit: treat writing like a business. Here are some tips on how to do that. Follow established accounting and recordkeeping practices and comply with legal requirements. You should maintain detailed records of your writing income and expenses and keep them separate from your personal finances. It also helps to have an annual budget, a business plan, and records of non-financial activities (e.g., a submissions log). If you sell your books at speeches or fairs or from the trunk of your car, make sure you have the necessary business licenses and pay sales taxes to the state. Gain the expertise to succeed as a writer. This has two prongs: training and expertise in writing itself (e.g., attending writers' conferences) and expertise in the subject you are writing about (research, research, research). Submit your work to paying markets. It's okay to submit to non-paying ones occasionally, especially if you do it to gain exposure, but you should concentrate your efforts on paying markets. Don't avoid the parts that aren't fun. For me, this means spending time on promotion. There are three sure-fire ways to convince the IRS that you write as a hobby. Publish, but don't promote. This is especially true if you self-publish. If you use a traditional publisher, it is one of the factors the IRS will consider. So if you want to deduct your excess expenses, make sure you treat writing as a business. Did you always want to be an author? How did you get published? These are questions I get now and then these days but there were times along my journey to publication where they seemed like they would only happen in a dream. The short answer is Thomas Walters at B&H Publishing decided to take a risk on me. I’d sent in a proposal for Snow Angel (at the time simply titled, Elizabeth) and he loved it. But that moment when he called me and offered me my first three-book deal, the moment where my heart paused with a leap of fear and longing, that was a long time coming. I’d like to share a little of that journey and a very cool video that B&H has put together to tell a little about their publishing house. And I’d be happy to answer any questions anyone might have in regards to B&H to the best of my ability - . My first novel, Snow Angel was born on a frosty night in an old farmhouse in Fishers, Indiana, where the cold floor gave me plenty of motivation for the snow scene. Two years later, armed with my jewel, I sat out to get it published. That began some of the hardest years of waiting that I have yet endured. When I look back on it, I can hardly believe all the crazy things that happened. I began my search for publication with the conference thing, meeting with editors and learning the submission process, studying the publishing houses and markets for romance novels. Then I sent out several query letters to both ABA and CBA publishing houses. It took months and sometimes years to hear back, but each one was a rejection letter. I wasn’t sure what to do next, so I just kept researching and waiting. My first break came in 2000 when Time Warner started an online writing group called iPublish. There was a lot of talk at that time about ebooks and how big they might become, so TW thought to tap into that market with an online community of writers providing the content for these ebooks. I signed up and within a couple of months got a call from an editor with Time Warner. They loved my book and felt that in this new format they could stretch out into something on the inspirational side with little risk on their end. Now, I wasn’t crazy about the whole ebook idea, but by that point, I was pretty desperate, so I signed the contract, hoped that my book would be so successful that they would eventually print it and looked at the whole thing like a possible springboard for my career. After 9/11 I received the news that Time Warner was shutting down the ebook division and letting all the ebook authors out of their contracts. One of the editors went to bat for my book to be traditionally published in trade paperback because she loved it so much. These were months of living on gut-wrenching hope, but it was determined that it was too inspirational. I sank into a minor depression for a couple of months after that and didn’t write anything. I kept praying and asking God what was going on, wondering what His will was for my life. It felt horrible to think of letting my dream go, but I wanted to prove to Him and myself that it wasn’t bigger than He was to me. If you’re wondering if I was looking for an agent during these times, the answer is, of course! But I had always heard that getting an agent was even harder than getting a publisher on a first time book. One day, I was online looking up agents and came across an agency that I had never seen before. They had an online form so I filled it out. I was shocked to get a call from one of their agents who had just relocated to Indianapolis. Within minutes of talking, he asked if I would like to meet him somewhere with the manuscript. “Really?” My slacker-faith self asked. “Really?” I whispered as tears began to flow down my cheeks. Armed with fresh faith I set out to query every possible publishing company that had ever published a romance novel. I poured over each word and sentence in that query letter. I used a sample proposal from a well-known agency as a template and polished my 40 page proposal until it was the best that I could make it. Then, in November 2005, I sat at my kitchen table and looked at the giant stack of brown envelopes. A part of me felt hope, a part of me felt fear, but a big part of me said, “This is it, Lord. If this doesn’t work, I’m going back to college. Then, surprisingly, my sister dropped by on her way to work. Jennifer is something of a prayer warrior and we laid hands on the stack and prayed over it, asking God to bless each proposal. Within two months I had a bite from Bethany House, Warner Books and B&H Publishing. B&H gave me a call. It’s the first day of spring! After a cold and snowy Indiana winter, spring is a time for new beginnings and rebirth. We’re already nearly three full months into 2010. Think back to January 1. Did you come up with some resolutions? Did you map out some goals? Yes, I did too. Pull that list back out and look it over. How are you doing? Knocking it out of the park? Sharpened pencil still hovering over item number one? Maybe somewhere in the middle with a few goals met, but many others pushed to the next week or the next month. God taught me a lesson this winter about persevering through life. It could apply to any difficult undertaking, but we’re here to talk writing. Let me share a few ideas that might help get you through the next writing slump or difficult objective you encounter. Five days a week I run three miles. While the winter weather usually confines me to indoors, I found myself between treadmills and so I headed to the local River Greenway to run one cold day in February. I parked my car and bundled up to fight off the chill. The wind pushed at me and I could picture myself like those TV weathermen who report from the shore while a hurricane makes land—leaning into it, hair whipping around, face stinging in the cold breeze. When I don’t have the treadmill to gauge my speed, I start out too fast. So there I was, only about a third of a mile in, fighting the wind, the cold, and the beginning of a side-stitch. That’s when I started to doubt. It’s too cold out here. I should go home and skip today. This stinks. Why did I ever start running in the first place? This is no fun. This is too hard.I still had several miles to go and if I had any hope of getting this done, I needed to dig deeper and figure out how I was going to do it. The first thing I did was check my pace. I cut back a little on the speed and the side stitch vanished. In your writing, maybe you are going too fast or too slow. Either one can cause you to burn out. Make a plan to finish on time. Next I did what I often do when I need to get my mind off of myself—I prayed. I started with A and began to work my way through the alphabet. Prayer realigns our focus and gets us through the tough times. The last thing I did was to focus on what was true. I told myself that I could rest in a short while. I promised I’d be so happy when I met this goal. I bribed myself with the Reese’s peanut butter hearts in the trunk. Focus on the truth in your writing journey. Remind yourself why you do it and of the reward waiting at the end. I am happy to say that I made it. On the return route, the wind blew at my back, the sun warmed my chilly cheeks, and I noticed the sun-kissed icicles and the birds on the river. I reminded myself of that truth too—some days of writing are like that—you hit your sweet spot. Here we sit on the cusp of spring and I give you permission to dust off those New Year’s resolutions and goals. Tuck the failures of the past away with your sweaters and let hope peek through like a winter-white ankle. It’s the season for new beginnings. I sat in the driver's seat of my in-laws' Buick Rendezvous and tried to figure it out. Was it in park? Was my foot on the brake? Seatbelt on? Doors locked? Hair combed? Teeth flossed? What else did I need to do to get this thing rolling? Was this a metaphor for my writing career? Or just a blond moment? "Mom ... is there a trick to starting the car? With the key?" I was the one asking, not one of my kids. We were borrowing her car to go to the state-wide ACFW meeting -- if we could get the vehicle started. First my mother-in-law came out. She climbed in the car. She couldn't start it either. After a "fahoodled" moment she sent me back to the house to get Dad. He had to set aside breakfast, put on his work clothes and boots, then he came out to try. The key still wouldn't turn. "Well, I'll be jiggered." Mom and Dad started to worry about calling a mechanic and getting to church on Sunday. I called my husband, and then called Mary Allen, who had planned to ride with us. I felt like two cents about then, knowing how much Mary had looked forward to the trip. He couldn't start it either. We milled around in confusion. Whoever heard of such a thing? Finally we heard my daughter. "Mom, try another key -- that's the truck key." "You put the car keys in your purse. You had the truck keys in your hand." Just to prove her wrong, I reached in my purse. I found another set of black GM keys. I brought forth the set of keys my mother-in-law had just given me only minutes before. Of course the car started right away. I could probably make a spiritual application about wisdom in many counselors, or listening to a still small voice -- even if it's the voice of your 13-year-old. After a whole lot of laughing we finally got on the road. We picked up Mary Allen and headed down to Indianapolis, laughing all the way. That's one of the perks of ACFW. Christian fellowship is a blast but it's even better with all those together. We heard encouraging words, made new friends and as we used to say in MYF (Methodist, Mennonite or Missionary Youth Fellowship) had fun, food and fellowship. When my love of writing became an earnest intent to publish, I had no idea I was mounting a twisting, looping roller coaster. Please note that from my perspective a roller coaster is NOT an instrument of fun and delight. Chugging to a peak is no problem, but the other side of that peak? Uh-uhhhh. Not a matter of fun, but of heart-stopping, sweat-dripping, jaw-clenching horror. Okay, the worst of my writing disappointments wasn’t quite that bad, but catch the analogy of plunging emotions and we’re on the same page. My co-author husband and I boarded the roller coaster when we sent our first “publishable” draft to a manuscript critique service. When the author assigned to us left a voice mail praising our novel, I sobbed so hard at her affirmation that I couldn’t even tell my daughter what I was crying about. She thought I was phoning to tell her my cancer had returned! Chugga, chugga, the roller coaster climbed to its first peak as the author’s agent took us on as clients. Within months, we plummeted down, rejected by three publishing houses (huh? that happens?) and our agent dead of a heart attack (no connection to the plummet). But, chugga chugga, we attended our first writing conference and met an amazing bunch of fellow Christian writers. So helpful, especially when they informed us that our novel would never, ever, ever be accepted in omniscient POV. A short nose-dive that time, followed by a major revision of our novel into third person POV. Back to the next year’s conference and, chugga chugga, an interested editor and agent. 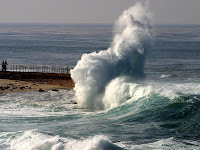 But no, another plunge toward the depths of despair as both ended up rejecting us. Back to the same conference a third time, and, chugga chugga, we not only found a wonderful agent but also learned about American Christian Fiction Writers. Joining ACFW was a major turning point because we not only acquired critique partners but also started participating in ACFW’s monthly online classes .That was the year we began learning the craft of writing in a new and serious way. Remember that patched manuscript? We patched because we hadn’t understood half of what the agent said. Now we do. We’ve caught the lingo and received help with the skills. We’ve gutted our novel and started over from scratch (it’s the first in a trilogy, so we need to keep it). Best of all, we’ve gotten off that horrid roller coaster. We still want to be published, but the emotion driving us now is the joy of improving as writers. Hmmm, was that God’s intent all along? I have a dream…sounds poetic doesn’t it? But seriously, most of us, or at the least many of you reading this blog, dream of publication. Ultimately, we have hopes and dreams of someday seeing our work in printed form. Some just want fame. Some want the added income the royalty checks bring in. Some want to be able to walk into their local library and see their books on the shelf. Whatever reason you have for wanting it, it’s important to you. It’s significant and the dream is worth having. But what you might not realize is how important it is to those around you. Specifically your children. I was at the state meeting we had a few weeks ago talking to a couple of new friends and we were talking about motivation and how we struggle to find time to write and to really keep fighting for our dream of publication. I told one of the girls that I’d recently realized I have to keep pursuing this elusive dream because what would happen to my little boy if he watched his mom want something so much and then just give up. He’d think it’s okay to let go of his dreams. I can’t be that mom. I can’t be that example. I have a dream and as long as I am able to pursue it, I will! What about you? Are you ready to quit putting your dreams on the back burner and start fighting for what you want? You are my Father in Heaven, and holy is Your name. You are omniscient, omnipotent and omnipresent. Timeless. You never sleep or slumber. Frankly, Lord, all these would come in handy in meeting my next deadline. But I'm not complaining, because You have assigned me a teensy-weensy part in bringing Your kingdom to earth. May Your will be done through my writing. And by the way, I'd really appreciate help with my characters, who are getting out of hand. My heroine dyed her hair purple and got a tattoo. Even though it's an ichthus, CBA may give her a thumbs down. Plus, the hero no longer recognizes her. They have to fall in love by chapter 10, and the situation is growing desperate. Lord, speak to them. Or slap 'em up the side of the head, whichever works best. Thank you for this day. By the way, what day is it? Or maybe give me a hint as to which era? Not only is my tatooed heroine messing with my nineteenth-century setting, but I'm writing proposals for a 1920s romance, a medieval Scottish tale and a time-traveling young adult vampire story. In my writing cave, I lose track of dates--and who's currently president. But You have given me this day, and I'm grateful. I appreciate all the fine writing opportunities You have granted me. Please give me my daily bread in the 1960s hippie sense ($$), rather than free copies. Forgive my trespasses against others, including the editor I mugged during the last ACFW conference. Please help her to forgive me, Lord. Or give her amnesia. I'm sorry, Father, that I lead my characters into temptation. But it I didn't, there would be no story. Deliver them from evil, but please wait until Chapter 26. While you're delivering, could you also rescue me from head-hopping, telling instead of showing and using back story every other senstence? And please help my verb tenses, pronouns and crit partners to agree. For thine is the Kingdom, the power and the glory forever. I know You can do the impossible, the unspeakable, the unthinkable. You can even help me place all my commas where they belong. Finally, I give thanks because You have written Your love on my heart, Jesus, and You are the author of my salvation. And even if I never find my voice, please help me hear Yours. Call it panache or press kit/media kit, it’s that special added touch to say you’re special. It’s also called a tool to enhance marketing. The word Tiff Coulter loves and most of us hate! A pitch or cover letter (heard this gig before haven’t we?). Make it as creative as possible, but make it zing for your targeted media. Short and personalized with a hook. Always include, but humanize while spicing with tidbits. People enjoy reading about people. What outrageous claims can you make? It’s money well invested in a current professional photo. Buy or make several copies. Whatever makes you shine! If you have none, don’t collapse. You will. Title, author, publisher, number pages, size, ISBN #, published date, binding, price. In addition to the above, you may also include the following, which help you understand why you’re selective in whom you give a press/media kit. If it’s relevant. May include book marks, brochures. Certainly a business card. Used more when seeking an interview. Autographing these provides a unique touch. A laser printed envelope eliminates labels. If you use a folder for your press/media kit, make it relate visually to your book. marketing for any kit they may put together. PS- My last blog mentioned that an influencer could register a book and then follow it’s journey. Go to www.bookcrossing.com to find out how. PPS- I’ve just read the last several blogs and my vote is that we have great bloggers!! Quit Messing With My Magic! If the book hadn’t been a library book, I would have torn those pages out then and there. Where has this nonsense come from? And how can we make it go away? I don't blame people for never wanting to read again after that! A few of us, of course, still read anyway, being too stubborn to let "education" take that fun away. And then, we go to our bookstores to stock up on some good fiction…only to find it suddenly bearing a striking resemblance to textbooks in the end. Note to publishers: I read fiction for pleasure. If there’s deep meaning for me in a book, I’ll find it myself. If it’s not there for me, it’s not there, and your putting in “hints” at the end of a book that I may want to go back and “find it” is pure arrogance. I hate this trend for another reason besides its arrogance, though—and that is, that it absolutely ruins the end-of-book experience. I can't tell you how many times I've finished a story, and then looked on the next page and seen SUGGESTED QUESTIONS FOR STUDY right after that beautiful, sigh-producing, satisfying ending. Do you know what that does to your story, people? It reduces it back to print again. It takes the magic and dumps cold water on it. And you want to yank your reader back out of the book that fast…WHY? Yes, I know some of these things were designed for book clubs. But the people I know who belong to book clubs are pretty smart. They can think up their own questions. And they do. So, once again…WHY does a publisher feel this need to manipulate a reader this way? If you insist on more, write them yourselves, and put them on a website, separate from the book. A place people can go to when they’re ready. When they've already closed the book and eased back into reality, and if and when they want to think about it further. But put those things on page 601 after I've spun a beautiful tale for 600 pages, and you've just robbed both me and my reader of magic I sweated blood to create. If you feel the need to do that...how much do you really love fiction—or, in fact, get it at all? 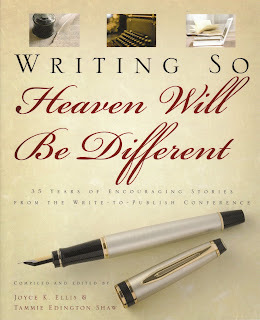 In 2008, the Write to Publish Conference celebrated its 35th anniversary by dedicating to Director Lin Johnson an anthology, Writing So Heaven Will Be Different. My testimony, "Seven Habits of a Successful Christian Writer," was one of 35 in the book by WTP alums. Four of those habits I'll share today, and three next month. But first, I recommend this inspiring book, compiled and edited by Joyce K. Ellis and Tammie Edington Shaw. 1. Use your gift to worship God. Writing is God's gift to you. When we use our writing gifts, we are worshiping our Creator. Plus when we're at a Christian writers conference, worshiping together with several hundred writers is an awesome, inspiring experience. Until my first writers conference, I didn't know that a writers conference was like a creativity revival. 2. Enjoy the adventure. God often surprises us with writing and speaking topics when we least expect them. Throughout my years as a busy mother and teacher, I dreamed about writing the Great American Novel. What novelist hasn't? I never guessed I would one day, instead, write and speak about women disciples of the Last Supper, and my family's lives in China. 3. Keep learning from the pros. Agents, editors and published authors have great insights to share about the craft of writing. Even though I've been a writer all my life (and taught writing too), I'm still learning. Writers conferences, along with the how-to books I've found there, have been my greatest skill-building sources. I try to attend two conferences each year, and America Christian Fiction Writers and Write to Publish are my favorites. 4. When disappointments happen, press on (Paul knew what he was talking about). No one masters the writing craft overnight (well, maybe some have, but I've never heard of them). Every time I meet with an editor at a conference or send out a proposal (these days my agent does it), my manuscripts improve in some way. I long ago learned that self-editing is ongoing and fun. I also remember the good old days of typewriters, so I never cease to be grateful for the ease of revisions with computers. I'll share three more habits next month. But of course, there are many more than three more. So why not share one of yours right now that you're working on these days. Your habit-in-progress might be the very habit another writer needs to be successful. O Holy God, please guide our writing habits so that our words will bring glory to Your Kingdom. Amen. I finished college with the naïve idea that I would finally find time to write as much as I wanted. But I soon learned finding time was about as easy as finding twenty-dollar bills on the sidewalk—possible, but unlikely. If you’ve written very long, you know writers don’t find time to write, they make time to write. Like a hungry dog who collects scraps any place and any time, my life is marked with index cards, sticky notes, and whiteboards. But outside of the laptop computer, the writing tool I appreciate the most is the speech-to-text software. With my headset microphone and laptop computer, I salvage writing time otherwise unavailable in my busy workday. Whether driving to work or walking on the treadmill, the speech-to-text software allows me to brainstorm, make notes, and even create my first rough draft while doing something else—multitasking at its best. Yet, speech-to-text software wasn’t always worth the effort. My first experience with speech-to-text was so error ridden, I gave up the first day. However, since the release of Dragon Naturally Speaking version 10, I have had great success with speech-to-text and my accuracy is limited only by my lazy speech habits. Dragon claims ninety-nine percent accuracy, which I believe is a fair assessment. But technology is only as good as the user. When I articulate poorly, I get poor results, but when I focus on good speech habits, I obtain good results. I wouldn’t think sending an e-mail via speech to text, nor would I risk sending an unedited letter created by Dragon. If you’ve ever played the game Mad Gab you understand the type of errors from poor articulation. For example, open heart surgery gets typed as woe pin arts her jury, and bare love monk ease might show up in your manuscript when you intended to type a barrel of monkeys. In addition to user error, three other elements are paramount to speech-to-text accuracy. The free headset packaged with the software delivered poor to mediocre results. When I did my research and upgraded to the headset recommended by Dragon my accuracy improved significantly. Second, I first used Dragon on an economy Gateway laptop and thought I was obtaining good results. But then my computer went on the blink and I upgraded to a new Thinkpad with a faster processor the results were even better. Finally, should you try Dragon Naturally, I recommend completing the voice training immediately. We each have unique speech patterns, be it a southern drawl, a New York accent, or personal speech rhythms. Dragon tries to cope with speech idiosyncrasies by providing short stories for the user to read so the program can adapt to your personal speech style. Thirty minutes of training made a huge difference for me. Occasionally, some words confuse the software, such as my fictional character’s first name, Zoe. Fortunately, Dragon allows the user to train specific words, and once the magic fairies inside the computer understand how to relate the particular sound to the typed word, it responds correctly from that point forward. Dragon Naturally Speaking 10 isn’t perfect, but it does help my productivity. 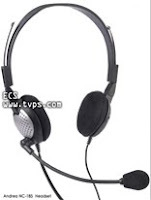 If you’re interested, the software is available from www.amazon.com and the microphone headset I use is Andrea NC-185. Total cost for both items is under one-hundred dollars. I'm often asked about "voice." When I'm working for an agent or editor, they will ask me about the author's voice. It is an elusive thing. How do you define voice? Sometimes that voice really stands out, but sometimes the author hasn't really discovered his voice. Recently, a fellow reader/critiquer and I both recognized when a crit partner hit upon her "voice." It was exciting for all of us! She still is hesitant, but I think she is beginning to hear it, too. She has written a lot in order to find that place. But maybe lately you've been saying, "I'm Nobody here with barely a voice squeaking through the rich, full sopranos,tenors, basses, rock stars." (Maybe that's my voice saying this.) On my desk is a piece of rose marble with these words etched on the surface: "Words are the voice of the heart." Confucius said this, though I don’t follow him, he did have some interesting things to say and had a strong voice. This quote speaks to the passions that are in our hearts. As Christians we're often told to follow the voice of our master, Jesus. The sheep follow the voice of the shepherd. Samuel didn't know that it was the voice of God, not Eli, who called him in the night, but Eli helped him to recognize His Voice. But what is that voice in your heart? Whatever you find buried in your heart eventually will come out passionately as words. So,words, which come from your heart, are part of your voice. To find your voice is to find what's in your heart, your very lifeblood. Figure this out first. What hits your hot buttons? I have to listen quietly to hear the voice I have. I also listen what others say about my voice. 1. Listen. Listen by reading. A lot. Read in the genre you wish to speak. Read books which "sound" like you want to sound like. 2. Write. A lot. Let people hear your voice, and if they like your voice, take note. Get your crit partners to point out to you each time they think your voice is coming through the story. Mark it in RED. 3. Listen to your heart as you write. If it says "thump, thud, swish-swish" then you might want to see a book doctor-type or mentor, and get your heart healthy. Get someone who is good at helping you with the writing without touching your voice. It's a fine art. You have to be careful with this one because I've seen crit partners flush the voice right out of a piece, or worse, put their own voice into a piece. Sometimes you have to listen the small, still voice which is telling you, "don't listen to this person, no matter how well-intentioned they are." (Just saying. )But if someone is really good at it, DO listen to what that person is saying about the writing. Phew. Tough call. 4. Get voice lessons and practice because eventually the voice and heart join together. Go to conferences, workshops, get together with fellow writers read your work out loud. Doc Hensley used to make us get into a circle and then read a piece out loud. Then the rest would make comments. Diann Hunt used to HATE this exercise, but it was so great to hear the voice of others. That is where I first heard Diann's great voice in writing. 5. Read your stuff to your dog or cat or horse. Your dog (or cat or horse) loves your voice no matter what you say. While you're listening for how you tell your story, you might just start recognizing your own heart-voice. 6. Let God hear your voice each time you begin a writing session. He knows what your voice is and will help you find the way to speaking out. I admit it. I'm a little crazy about edits. No, not in a bad way. I don't cry and throw things when they come. I dance around the room with excitement. I know, I know. I should have my head examined. LOL But it's all a matter of attitude. For months I've been slaving on a new story all by myself. All of a sudden, I HAVE FEEDBACK! There is something invaluable about that. I find out if I managed to put in what I'd hoped. If not, I have some clear guidance on how to get there. 1. Read the good things the editor had to say. Allow yourself to savor those, all the while knowing the medicine is coming. 2. Now comes what didn’t work. Read through the entire list of things that need shoring up. 3. Dig in. Often after reading a revision letter, you feel overwhelmed with all that needs done. But ugly as it looks, it’s possible to do this work in much less time than you ever imagined. 4. Do the small stuff first. Things like grammar, eye color, etc. 5. Tackle plot issues. I get out 3 x 5 cards and jot down plot things that need woven in. 6. Layer in character changes. Using 3 x 5 cards again I jot down things that need shoring up so I can layer them in as I read through. 7. theme issues. Can I layer that in better or with more punch? I look for ways to do that. Ami McConnell is great at finding those things that will help in this area. Then I do one more read through and look for inconsistencies. Love this process! As I mentioned in my first post, I am a third-generation writer. It excites me to pass that interest on to my grandchildren. When my oldest daughter homescho0led Joey, he hated writing assignments, but he loved getting e-mail. He was still young enough to need mom's help at the computer. One day I sent him an e-mail. "Joey, I have an idea. Let's write a story. I'm going to start a story and send it to you. I want you to figure out what happens next and send me an e-mail." One day, when I went to visit his family, he met me at the door. "Grandma Pat, I know what's happening next, I just haven't sent it yet. " Then he filled me in on the next exciting installment. In one of my many moves, I lost that story, but I do have one he and a buddy wrote for a high school assignment. And now, he is interested in writing sci-fi/fantasy. Then there's Caylin. I went to her hometown to see her Little League game and take her home with me for the weekend. Slow traffic caused us to take a detour to get there. The reason -- a bad accident on the interstate highway. At the time I was a newspaper reporter/photographer and though off-duty, I had a camera and my curiosity with me. I didn't try to take a hike through a cornfield to get to the site of the accident -- not with a ten-year-old. It's a good thing I didn't. The driver of a semi was under the semi, his broken body severed in two. We inch-wormed our way to a county road that took us into town. Pulling into a root bear stand, I ordered drinks and told Caylin she could stay in the car and enjoy her root bear. Her response -- "Can't I go with you Grandma? Do you have paper I can use to take notes?" I found her a spare reporter's pad and a pen. We went up to a police officer who was standing on the sidelines. Traffic had been re-routed through our town. It was hectic. I asked whether I could get some information from the officer. He answered, "Yes, Ma'am, but let me take over for the officer who's directing traffic. He was the first one at the scene." I got a good story on my day off and had a good time showing my granddaughter what my job entailed. She took the newspaper I sent her to school and told all about being a reporter for a day. Have any of you been able to share with children or grandchildren an enthusiasm for writing? Please comment and tell us about that experience. God created us to crave community with one another. Writers think differently. We need to meet with other writers who “get us” to fill a void in our lives. 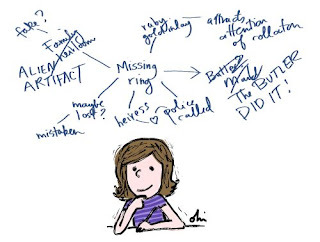 In case you haven’t figured it out yet: writing a not an easy endeavor. We need to meet with other writers who have traveled the journey and can inspire us when the road gets rough. Writing is a craft. We need to study the craft to improve our writing. Iron sharpens iron. We need to meet with other writers who can answer questions, offer suggestions, and explain techniques to improve our writing. Writing takes discipline. There is no working supervisor or middle manager to require us to do the work. Corporate America has spent billions of dollars building accountability into their business models. They recognize the importance of accountability. We need to do the same. We need writing partners who will hold us accountable to do the work needed to make our writing dreams come true. Do you participate in a writing group or have writing buddies? What benefits have you discovered? In the past month, responsibilities layered one on top of the other until I found myself barely surviving. At the end of each day, my biggest challenge was keeping my eyes open long enough to watch an hour of the Winter Olympics. Forget about meeting my writing goals. I didn't step away completely, but I did learn that certain times in life require me to say "No", so that I can say "Yes" to my most important priorities. For me, that meant saying "No" to attending every Mom's group and blogging at a frenetic pace, so I could say "Yes" to my physical well-being, my family, and my writing goals (which have adjusted as a result of my down time). I recently did a Google search on de-stressing, and I found a site called "100 Ways to Reduce Stress". Take the time to read it. You'll feel yourself de-stressing just looking through the list. And since writing is still a high priority for me, I think doing many of these activities will serve to make me a better writer in the process. Where is your stress level these days? What can you cut out or add to your life to make you a more effective writer? Recently I read a novel (written by an Indiana author) because I was curious. It was historical and set in Indiana. I fancy myself an amateur historian, and thought it would be an interesting read. Since I'm also a novelist-in-training, I wanted to learn what good writing looks like. I didn't expect to learn much more than writing style, POV (point of view) techniques, conflict, scene - you know, all that novel-ly stuff we're supposed to learn on our dream road to publication. If I enjoyed the story, it would be a bonus. I expected little else. I don't think God necessarily cooks like Emeril Lagasse. But once in awhile he gets my attention in a similar way. Silly me, to think reading a novel was all about the story (and other novel-ly things). For days after I read this book, there were certain words I found myself pondering. I found myself whispering prayers to God in regard to some of the spiritual principles entwined in the fabric of the story. I realized that pondering on these truths was exactly the type of spiritual experience I want my readers to have when reading what I write. Stories come and go. God's Word remains (1 Peter 1:25). Even more than asking for God's inspiration when creating twists and turns in a story, I need His Holy Spirit guidance and anointing to convey His Word. It's my passion to change lives with the writing He inspires. But for some reason it surprised me to be influenced this deeply by a "mere" novel. Writing isn't about me. It's not about me getting my name out there, or being someone well-known. It's not about awards and money. Those things are nice by-products to be sure. But as a Christian writer, my writing is a tool God can use to reach people and help them overcome their struggles with the enemy. While typing out each phrase, I pray that God will continue to anoint my "hands to make war and my fingers to fight" (Psalm 144:1). This will only happen if I'm in tune with His Word, listening for His voice, and spending time with Him. This is why we must persevere in our writing efforts. Whether writing a letter, article, or blogging, we have opportunities to share Truth with our readers. God has placed a dream of writing in us for His purposes. He knows what He's doing. We just have to trust Him. For those of us just beginning our writing journey, if we're never paid or recognized for words we write, we can be sure of even greater rewards in heaven. Meeting people whose lives were changed for eternity by our words will be reward enough. What novels have you read lately that impressed on your heart some spiritual truths? Let me know, so I can read them, too! I took my first steps into writing on a whim: I entered an essay in a writing contest held by a Christian magazine in 1979. To my delight, although I didn't win, the magazine created an Honorable Mention prize, mailed me a check, and printed my piece. "Wow," I thought, "I can make up stuff, and people will pay me for it?" So, as more hobby than anything else, two or three times a year I would craft a devotional, an article, or a short story and send it to a publisher. Some got rejected. Others yielded checks, spurring me to write more often and to study the craft seriously. When I discovered writers' market guides, the boundaries of my publishing universe expanded. I pored over them seeking markets that might fit my style and skill. I highlighted travel magazines ("I love to travel. I could write travel pieces.") In the same sitting I’d also highlight children's magazines ("I used to be a kid; surely I can create stories for children. "), sci-fi journals ("Hey, I grew up watching the crew of the U.S.S. Enterprise. I'll boldly write where I've never written before! "), and a host of diverse markets. I found such a vast array of markets that I felt I was wasting time. I needed to get busier submitting to more and more of them. Somewhere along the journey, what began as a hobby, then developed into a Christian ministry, took the shape of an enormous, invisible steamroller bearing down behind me if I didn't maintain a hectic pace of researching, writing, and submitting. This impression wasn't logical (my days of watching Mr. Spock should have taught as much), but the more I learned about other authors' successes, the more pushed I felt to get out there and compete, to be a one-size-fits-all writer. The role was exhausting. Beware that invisible steamroller. Nobody can write for all markets. And the fact that the writer beside you at a conference just signed a 50-book contract and optioned all movie rights shouldn't flatten you. In the military there are roles for all ranks, from privates up to generals. Likewise, in the ranks of writers for the Lord, there is room for a wide range of writing skills. Every level of skill has its niche. Now, I’m wondering: am I alone, or have others experienced that invisible steamroller? Ever felt that you had to catch up to colleagues, or else get squished? What’s right about my left brain? I came from a home with a genius in residence. As Beethoven played, it was admirable to discuss and THINK about others’ creativity, but spontaneity was thwarted. Stargazing, gardening, and reading, reading, reading, especially (shudder) scary sci-fi stories were the closest we were allowed to the edge of the corpus callosum bridging our strict left brain lives to that strange world of originality on the right. While I was by night in my secret dreams, a rebel, fighting against the encroaching unjust empire, in real life I was a “good girl” who lived up to every left-brain expectation made of me. I was a terrific speller, understood the finer points of grammar and sentence structure or science and as time went by chose trigonometry over choir. (Yuk!) My first job after graduation was as a competent and well-paid assistant bookkeeper in the main office of a large credit agency. It all sounds good, except I would periodically need sick days to prevent permanent melt-down. This did nothing to allay my preconceived notion that genius was to be feared as a door to insanity. Every day for forty-two years, I was an exhausted butterfly with wet wings straining to break free of my cocoon. I couldn’t even put this in words. I only knew something wasn’t right. It turns out the something was my brain, and left-brain living was not right for me. What’s left of my right brain? Once I identified the problem, I tried to use both sides equally. My husband and daughter do this without effort. For me, not so much. If I rose to giddy creative heights, I'd strain to function in foreign left brain territory until one day I accepted who God made me to be. 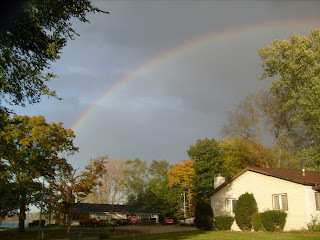 Now, at fifty-five, I flutter about my colorful day singing, serving up new and delectable dishes for my husband, dabbling at homemaking, and creating people, places, and crises on paper or computer, which I then solve. I’m having a blast and I haven’t needed a mental health day in years. I am learning to live out-of-the box. Plus, I have a plethora of survival stories from which to draw. This leaves me in the position to write, write, write. Ahhhh! Home, Sweet Right-brained Home. The only thing finer would be a book contract. The caveat to this new brain-style is I can no longer spell correctly, my grammar is atrocious, and as Rachael Phillips can testify, I can’t add or subtract anything over $5.00. I can live with that. The Genesis Contest is the ACFW contest for unpublished Christian writers. The contest has a multitude of categories/genres to enter, the opportunity for unbiased feedback on writers' work by published authors and experienced judges, and the chance for the Category Finalists to have their work read by Christian publishing house editors and literary agents. ACFW has been pleased to see previous Category Winners and Finalists move further on in their writing careers to become published authors. 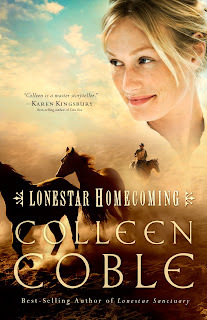 ACFW and the Genesis Contest do NOT guarantee that a winning or runner-up entry will receive a publishing contract. The entrant must submit the first 15 pages of their manuscript, double-spaced, and may include an optional one-page single-spaced synopsis. The manuscript and the synopsis must be in the same file, not in two different files. The Genesis coordinators highly recommend that entrants submit their entries by MARCH 15TH, 2010, so that if the entry is lost in cyberspace or if any aspect of the entry is unacceptable, the entrant can mail a replacement entry before the deadline. Judging – During the First Round, three judges (published authors or experienced writers trained in judging the Genesis) will score each entry, up to a maximum of 100 points per entry. All three scores will be averaged. Discrepancy judges will NOT be used due to the logistics of the contest. See the GUIDELINES AND FAQ page for a more information. The top five entries in each category--Category Finalists--will continue to the Final Round. In the event of a tie for fifth place, all tied fifth place entries will advance to the Final Round. Barring unforeseen circumstances, Finalists will be notified between May 1st and May 15th, 2010. Finalists will be allowed TWO DAYS ONLY to polish and resubmit their entries before the entries are sent to the Final Round judges. The Category Winners will be announced at the 2010 ACFW National Conference. See "Prizes" for the awards designated. For more information, see the GUIDELINES AND FAQ page on the ACFW website. Where does the color, the vibrancy in your writing come from? How do you visualize that setting, that perfect place for your story to take on life and travel to the end of the last page? Do you use simile, metaphor, personification, onomatopoeia? Is there a book somewhere that tells the writer what to say and how to say it? Are there examples I can follow and make my writing come alive? Out of the mountain of books on my shelves to tell me how to write and how to build my characters, one stands out above the rest. The Bible. He goes on to say, “My soul thirsts for God, for the living God.” What a striking way to describe the need of the human soul for God. Isaiah is one of the most colorful prophets to me. See how he describes God’s love for Israel and the promises in that love? Isaiah 43:2 reads, “When you pass through the waters, I will be with you, and when you pass through the rivers, they will not sweep over you. When you walk through the fire, you will not be burned; the flames will not set you ablaze.” Did Isaiah mean that literally, or was he using a literary tool to imprint that thought in our minds? What literary devices do you see mentioned in the above words? Better yet, what devices can you find in the scriptures today?